Remember Operation Moonfall? It’s like whichever Disney movie it was once told me: if you want something enough, your heart is pure and you really, really whine about it on the Internet, your dreams can come true. Moonfall, for the uninitiated, was a petition to bring The Legend of Zelda: Majora’s Mask to the 3DS; a spangly Ocarina-style remake. It received extensive support, unlike the usual ‘outlaw peanuts and make my cat president of Australia’ sort of petition you see online. Nintendo, never one to eschew the chance to rake in some cashtacular, caught on. 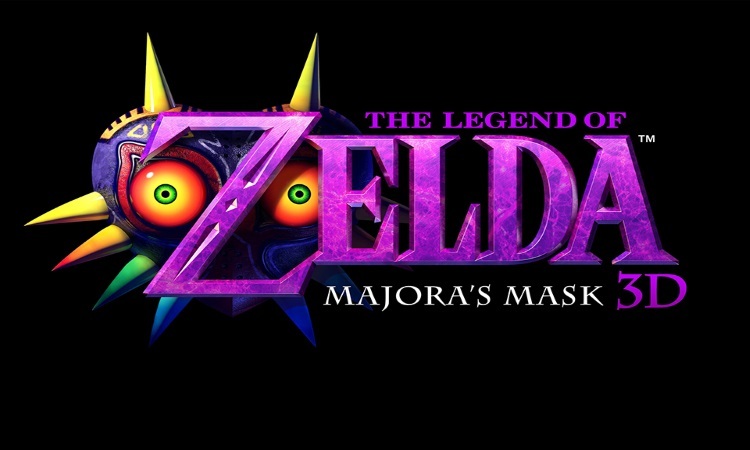 Majora’s Mask 3D arrives February 13, and is going to be an insta-buy for many gamers. Several of whom will be curious souls who have never played before. In contrast to the blockbuster smash that was Ocarina of Time, this one is relatively obscure; as close to cult status as an entry in such a series can get (Wand of Gamelon and that other CD-i ballache notwithstanding, because they’re crap). 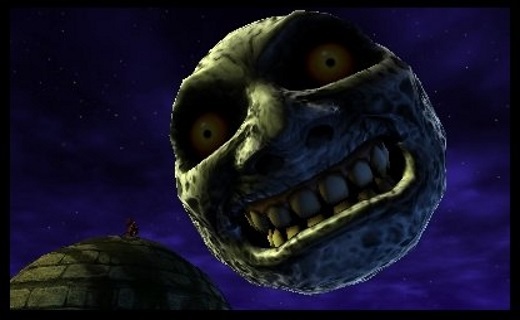 Majora’s Mask is set months after the events of Ocarina. Link is searching for his lost fairy, Navi ‘Hey, Listen’ the Fairy, when he encounters the mysterious Skull Kid. The little masked miscreant leads him through a door into the land of Termina, where the moon is set to crash into the world in three days. This apocalypse-flavoured situation requires a hero, so it’s quite convenient that one has just wandered by. That’s the setup in a nutshell. Beyond that, Zelda veterans know the drill: dungeons to cruise through, keys and new items to find in them, bosses to beat, sidequests to try out along the way. It all sounds quite conventional, but there’s no doubt that this one’s reputation as the black sheep of the family is justified. It’s unusually dark in tone, for one. From the apocalyptic storyline to the Shadow Temple vibe that runs throughout, there’s something distinctly more adult about this installment. It’s telling that the game isn’t set in the familiar land of Hyrule; this was intended to be an experimental and curious franchise entry. It certainly achieved that goal. Yet, crucially, it’s still built on the same great foundation its predecessor established. More free-roaming Zelda on that spangly new 3D backdrop, which should really be all you need to know. I wouldn’t often rate a remake this highly, but The Legend of Zelda: Majora’s Mask 3D is definitely among my most anticipated releases of the year.